I have a daughter who will be a teenager in about two years. Aside from her, I have teenaged nieces. I know that they are different from my young daughters in terms of likes and interests. 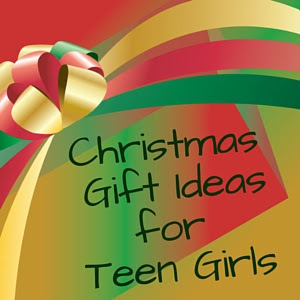 Since Christmas is just around the corner, what are some gift items that teenage girls will surely love? Let me share 5 possible gifts that you and I can give to girls in their teenage years. One thing about this stage is that girls like to experiment with beauty and different looks. Many teen girls will start to be interested in make-up. There are a wide selection of make-up sets that you can buy. If you don't know what shades to buy, you can opt for a collection set with plenty of colour combinations. Take a look at the Shany Glamour Girl Make-up kit. It's a great all-in-one kit with eye shadows, blushes and face powders. The bedroom is your teen girl's safe haven - a place where she can rest and spend time alone or with her friends. Choose a bedding set that will add color and style to her personal space. It will make her feel not just comfortable but happy and inspired. If you can send your teen to her favorite event, be it the concert of her favourite singer or the game of her favorite basketball team, she will love you forever. Just be careful with this type of gift. Teenagers can be a little fickle with their likes and dislikes. Make sure that the singer or band is still her favourite before you purchase those tickets. Get an extra ticket as well so she can bring along her best friend to enjoy the whole experience with her. Download this free event tickets classifieds app to get updates and deals on events including concerts by Lady Gaga and One Direction. Image is very important for a teenager so you can choose a bag for her that is in with the crowd and peers. Something that is practical and functional, like a backpack or a snazzy messenger bag, could be a great choice. Your teen can use this for school and weekend sleepovers. If you want something that can be used when school is over, then choose a cute little handbag or a clutch. This will be great for keeping her belongings safe while she hangs out with her girlfriends at the mall. In case you really don't know what to buy for your teen, and you don't want to make a wrong guess, get a gift card. Find out where she likes to go shopping and get a gift card or voucher for her to use there. Alternatively, you can simply get a gift card from one of the popular mega stores, such as Amazon, Kmart or Walmar. That way you have covered all bases and she can get exactly what she needs and loves. Do you have other perfect gift ideas for teenage girls this Christmas? I'm sure you have many more ideas, perhaps you're planning to give her a personal diary, a t-shirt or fashion jewelry. I'd like to read about them in the comments below.